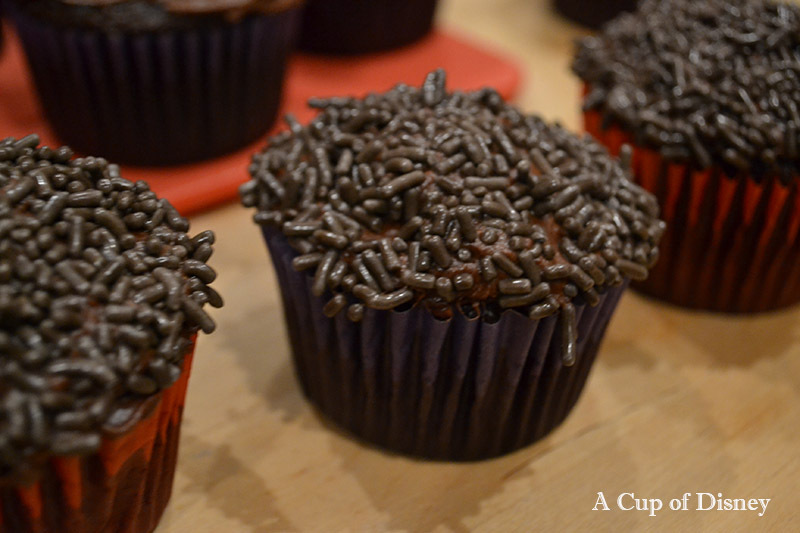 Use a box cake mix to bake your cupcakes by following the directions on the box. You can also bake from scratch if you are feeling adventurous. Frost the cupcake with chocolate frosting and cover with sprinkles. 3. 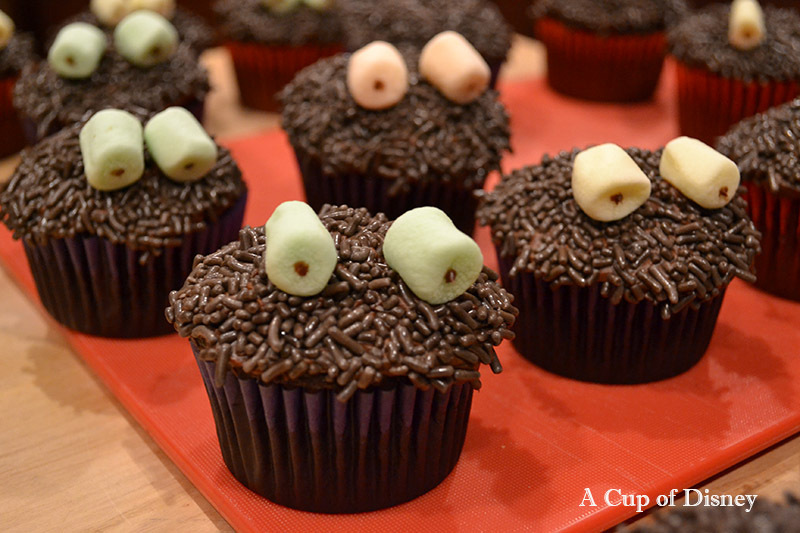 Press the eyes into place and you can use black tube icing to dot the eye or a toothpick with a small amount of the frosting. 4. 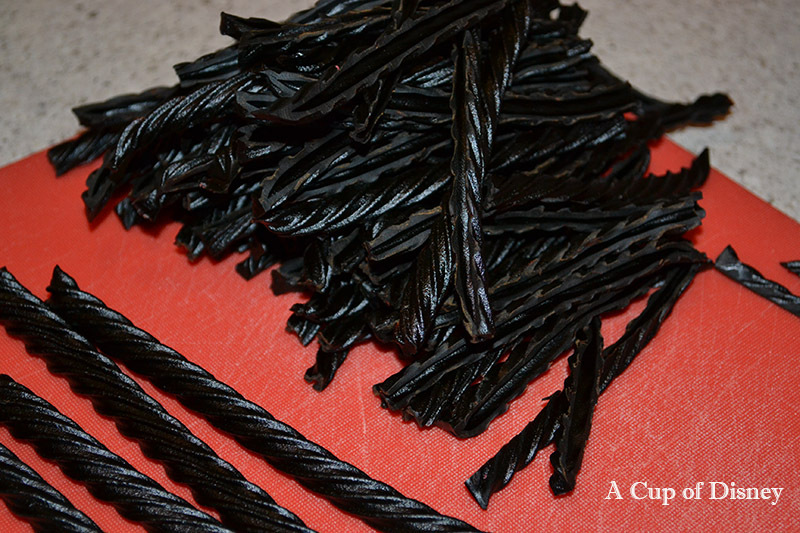 Use scissors to cut eight 4-inch pieces of licorice for the legs. Holding all of the legs together in a bunch, bend them in half and crease. Push the end of each leg into the cupcake as shown. 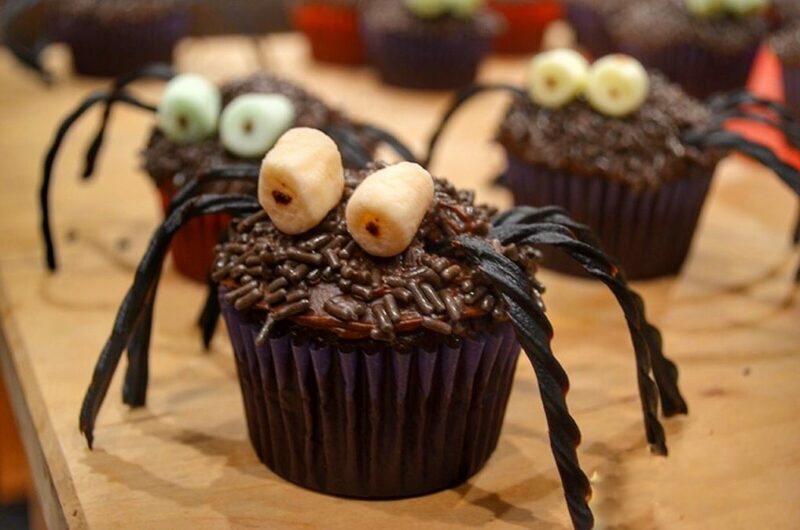 What fun holiday treats do you make for Halloween?